Clarinet & Saxophone Instructor: B.M. and M.M. 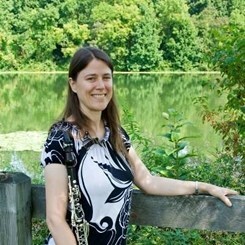 in Clarinet from University of Maryland. Performance experience with the Prince Georges Philharmonic Orchestra, Columbia Orchestra, Gallery Winds Woodwind Quintet, Toby’s Dinner Theater of Columbia, Capital Wind Symphony, and Montgomery College Summer Dinner Theatre. Over 10 years teaching experience with students selected for honors, Gifted and Talented, all-state bands, and the highest marks in the Maryland Band Directors Association Solo and Ensemble Festival. Request Lessons with Lori Fowser today!